Happy Monday babes! I can honestly say that last week was a complete whirlwind for me and I am ready for a new week and some positive changes. But I'm not going to get too in depth about that right now, instead I want to talk about my quick weekend trip to Savannah! Savannah had been on the short list of my "must-visit" places for awhile now so when the opportunity arose to take a quick weekend trip up there, I of course jumped on it. And I can honestly say, I was not disappointed! Savannah is only about a 3 1/2 hour drive from where I live in Orlando and even better, it only takes 2 roads to get there. So if it's that easy to get there why had I never been before? Yeah, I ask myself the same question. 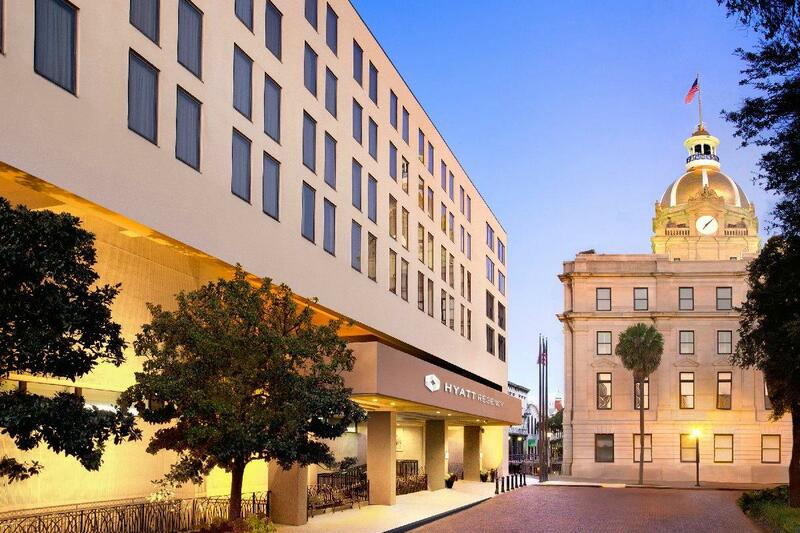 I highly recommend staying somewhere on River or Bay Streets just for the gorgeous views and access to tons of great restaurants and shops but after walking around the city, there really isn't a "bad" spot to stay in the historic district. The Hyatt Regency on Bay Street is perfect. You won't find any ghosts (at least not that I saw) in this hotel but if you get either a river view or city view room you will get some gorgeous views. Not to mention several different rooftop access points and a cute little patio bar. If you're looking for something more historic, there are plenty of other options to choose from. 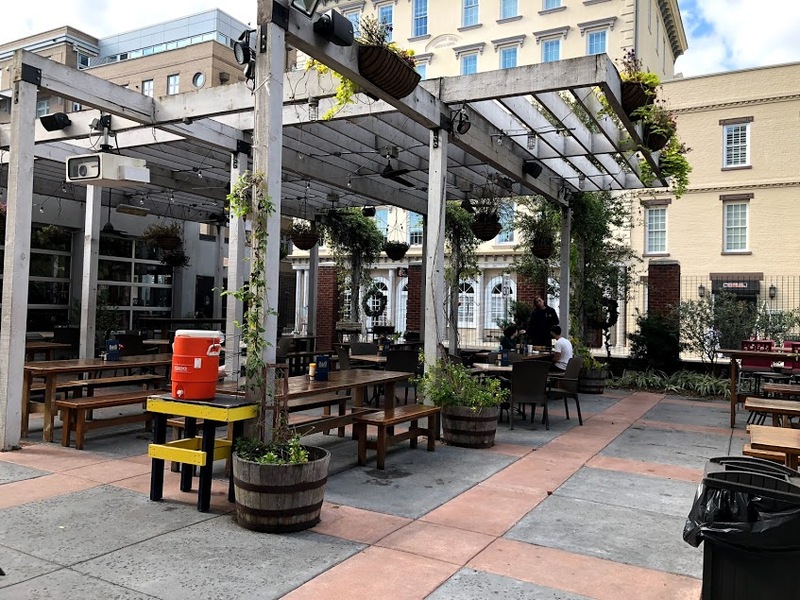 The Bohemian Hotel - Situated next door to the Hyatt, you'll get the same views from The Bohemian (including a super cute rooftop bar) but it's a bit of a splurge. The Cotton Sail - On the same road as the Hyatt and The Bohemian, Cotton Sail is a more boutique hotel that has been recently renovated. 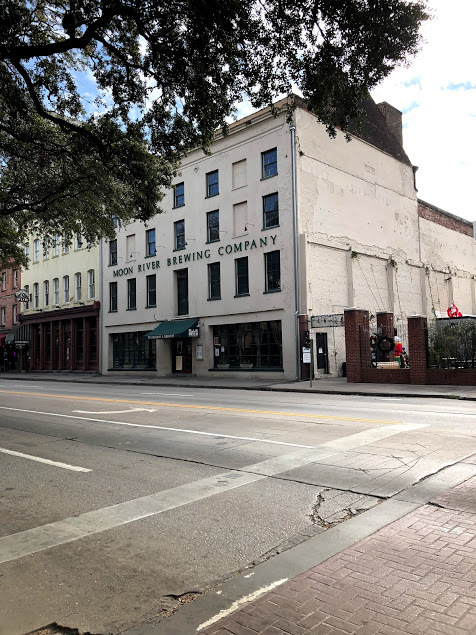 The Marshall House - Said to be one of the most haunted hotels in the world, The Marshall House combines original southern charm with a modern update and only several blocks from the river. 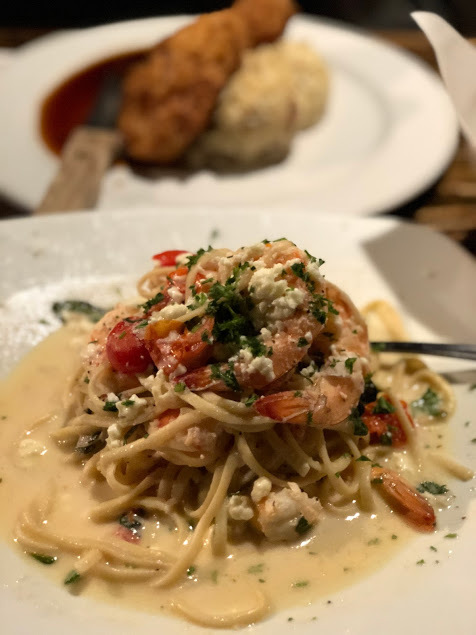 One of the best parts about Savannah is there really isn't a bad place to eat and as a serious lover of food, I wanted to try everything. Unfortunately you can only eat so many times in a 3 day period so I'll have to go back to try some places that I didn't get to try this time around but here are some of my favs from this trip. The Pirate's House - If you're looking for good food and some fun, The Pirate's House is a must visit. 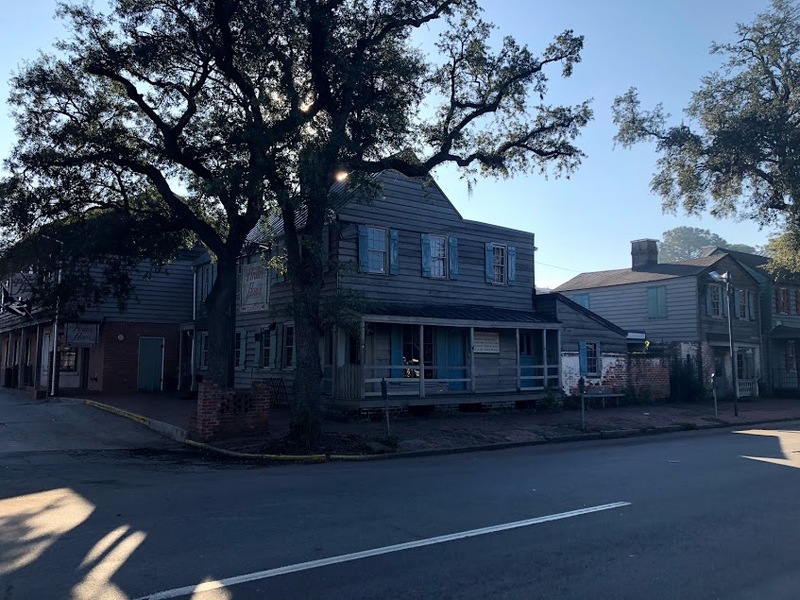 Built in 1734, I don't know if you can find a more historic place to eat and there are plenty of ghost stories to entertain you while you eat. Huey's on the River - Huey's is extremely touristy but has delicious food and an amazing view of the river so I had to include it on my stops. Not to mention I'm a huge fan of Cajun food and any place that has beignets is a winner in my book. 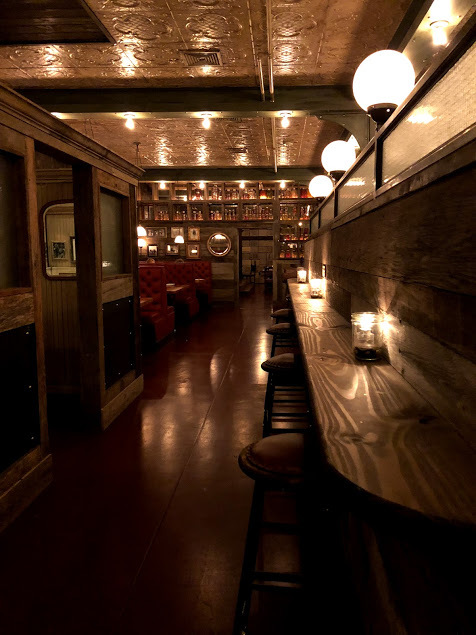 The Ordinary Pub - A must visit if you're a lover of brunch. They do brunch all weekend but just be sure if you want to do Sunday brunch and you want to drink, don't make a reservation before 12:30 pm as they aren't legally allowed to serve alcohol before then. Speaking of reservations, unless you get there right when they open, don't expect to be seated right away unless you have reservations. But the food is amazing and they have $10 bottomless mimosas. 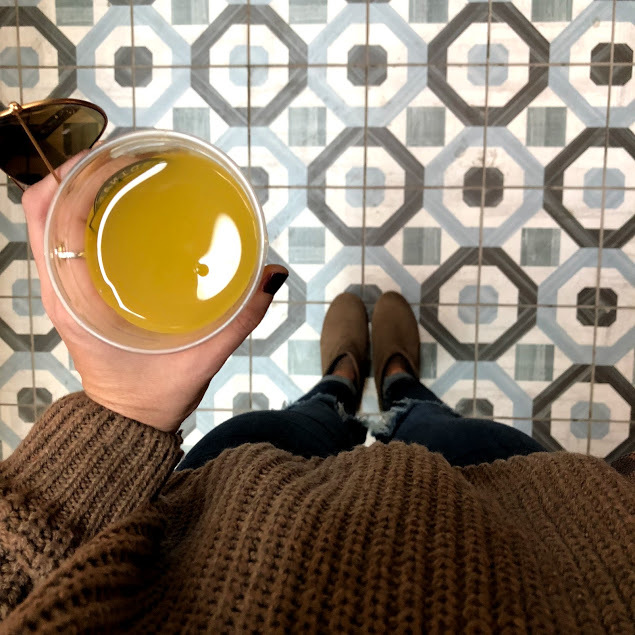 Don't forget to get a To-Gosa (mimosa to go) before you leave! Something I didn't know about Savannah is that they don't have an open container law which means you can legally carry your drink on the streets of historic Savannah without getting in trouble. Of course that doesn't mean get trashed and make a spectacle of yourself because, yeah, that might get you arrested but if you want to stroll and shop with an adult beverage, you are more than welcome to! Rocks on the Roof - You guys know by now that I love a good rooftop bar and Rocks on the Roof is perfect. 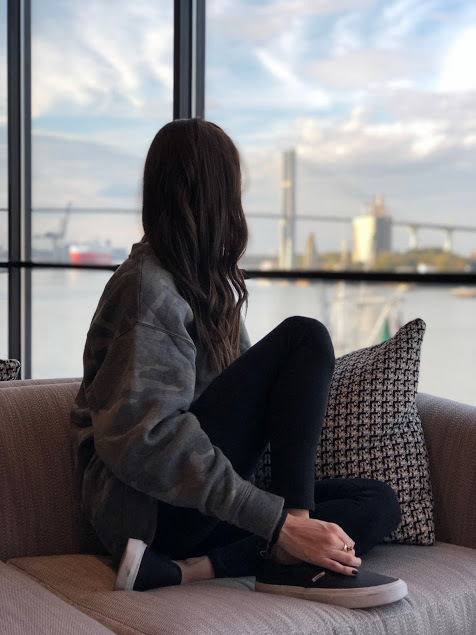 Panoramic views of historic Savannah including river views while enjoying a craft cocktail, beer or wine? Does it get any more perfect? Moon River Brewing - One of the local breweries, Moon River is a bit more of a restaurant than brewery but they do brew their own beer in house and have a super cute beer garden not to mention a full liquor bar for the non-beer drinker. The building is said to be haunted to you might even spot a ghost while grabbing a drink. 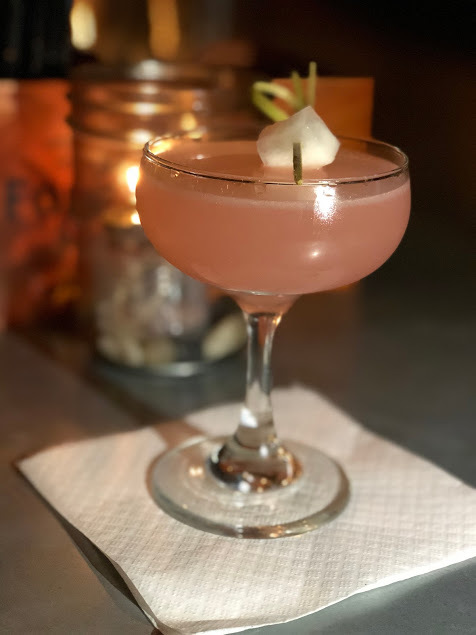 Prohibition - This gorgeous speak-easy style restaurant and bar just opened in October and it's definitely becoming a hot spot in town. Definitely check it out for a craft cocktail or two and be sure to ask the bartenders to make you something they recommend that might not be on the menu! 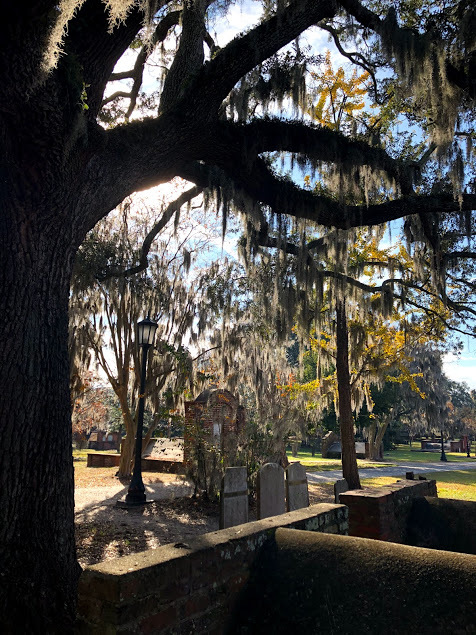 Savannah is known for it's history, ghosts and beautiful sights. One of the best parts about it is you can walk all day and still stumble upon sights you didn't see before. You never know what you're going to stumble upon if you turn down a cute alley way. A Ghost Tour - I did a tour called The 6th Sense that was good but not great. 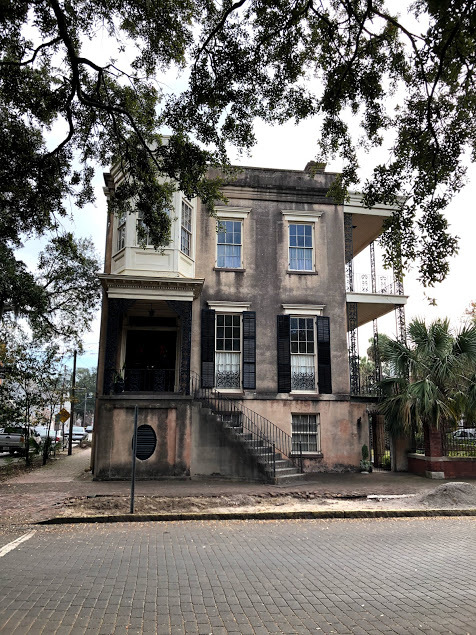 I did a lot of reading up on Savannah's spooky history before going so when this walking tour took us to a house that I had already read was only rumored to be haunted but proven that the ghost story surrounding it was false, I lost a little respect. But it was still fun and eerie to walk around Savannah hearing the stories after dark. Cemetery Strolls - I know, that sounds morbid and weird but it's actually incredibly interesting. In Colonial Park Cemetery there are over 10,000 graves and the first burial in the cemetery was in 1750. There are tons of historic markers to read about the people buried there and why they're there. And there you have it! 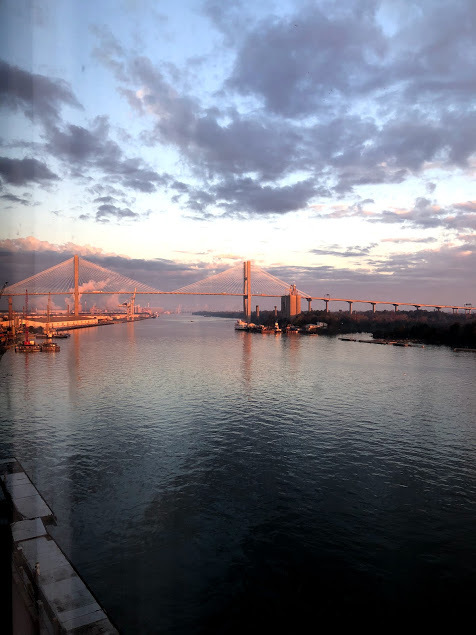 My weekend travel guide to Savannah! 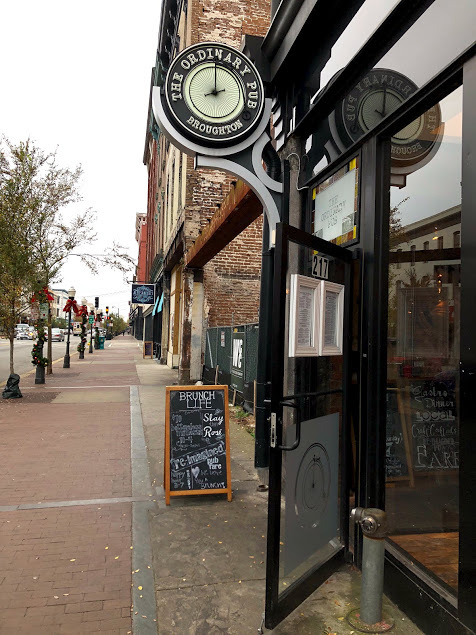 In the upcoming weeks I'll be sharing some more details about some of my favorite places but hopefully if you're ever in Savannah and you check out some of these places, you enjoy them as much as I do! It looks pretty there. I love the charming vibes of Savannah. I want to go there! 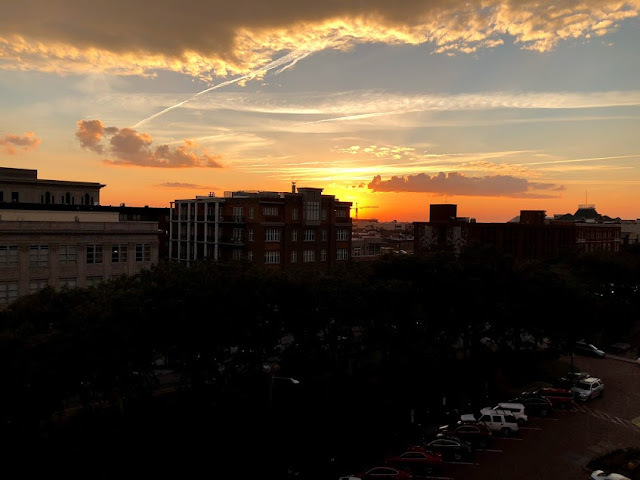 I love Savannah- it’s a perfect spot to getaway for the weekend and I’m so glad you got to experience it!! Is Paula Deans restaurant still there? That was a yummy spot last time I was there! Savannah is on my bucket list!! Gorgeous pics and I will definitely check these restaurants out if I ever go! 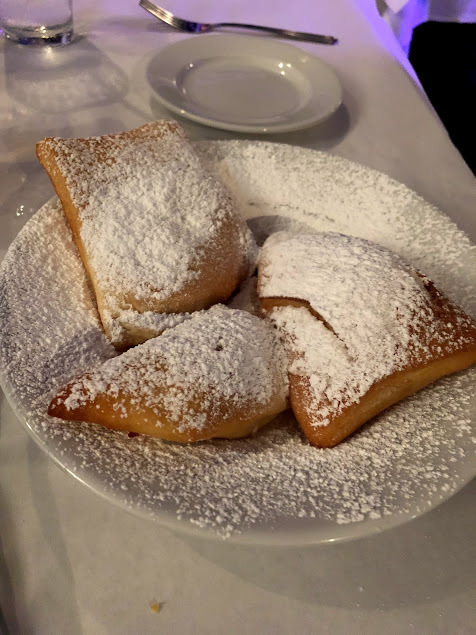 Those beignets look DELICIOUS! How very fun!! The sights and eats make me definitely want to Visit! We absolutely LOVE Savannah--we went more often while I was still at Clemson! Definitely need to plan another trip soon. That Ordinary Pub sounds like the perfect brunch spot! Savannah has been on my list for SOOOOO LONG! Maybe sometime next year I'll get there. The food looks amazing and LOVE your sweater in the first picture. Savannah is such a beautiful town with so many fun spots. I would love to go back. And I love your sweater, the back is so cute! I have always wanted to go to Savannah!! Looks like you had a blast. Bookmarking this for future use. Love your sweater, it looks so fab on you. What a fun trip! I think I'd enjoy The Pirate's House. And I LOVE ghost tours; sorry yours wasn't the best though. Well, I think I could go there just for the food and drinks alone! It looks like a dreamy city complete with history and charm. Glad you finally got to go! That laceup sweater is just everything! Thanks! I'm planning a trip to Savannah in the spring and this is really helpful. This makes me miss Savannah so much! It's such a fun and beautiful place. Great guide, there's so much to do, and eat! 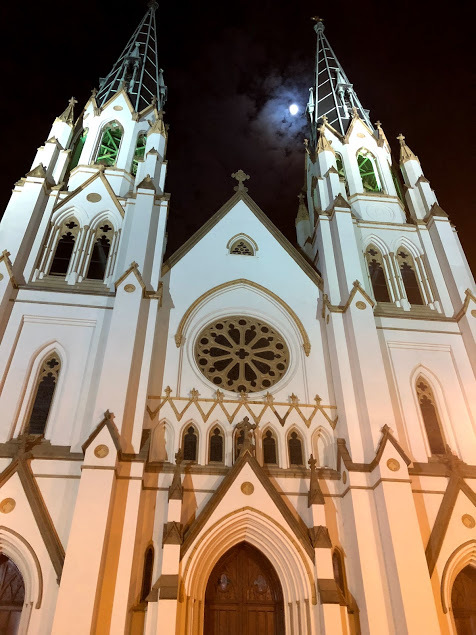 What a great guide to Savannah! I've only been to Savannah once and I was just in high school so we definitely need to make a trip back. Totally agree about staying on River or Bay streets. The views really are gorgeous! Glad you got to mark this city off your list. I had no idea it was that close to Orlando! Happy Monday! Josh and I are dying to get to Savannah for a weekend! I am going to use this as our guide for everything when we do!! And YES to no open container laws! Isn't it funny how sometimes we never seem to make it to places that aren't even that far away. It looks like you had such a great trip with plenty of amazing food options. I mean, the place looks amazing! I’m so glad that you were finally able to make it to Savannah! It’s been on my short list for a while too, so I’ll definitely be keeping your guide handy when we make it there! And I love that you did a ghost tour when you were there! That was one of my favorite things that we did in New Orleans so I’d definitely do it in Savannah too! Savannah is definitely on my list to visit! I'm sad we haven't been yet, esp after reading your recap. What a fun trip! I absolutely adore your sweater! We flew into the Savannah airport for a wedding in Hilton Head earlier this year... and even the airport was cute (and SO easy to navigate). 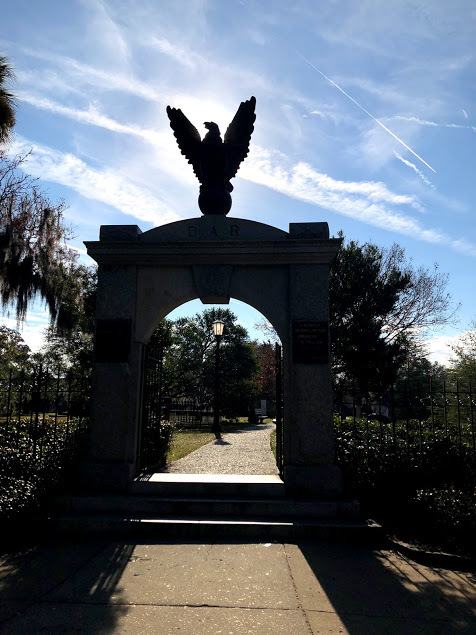 I didn't know there was so much - history and otherwise in Savannah! Gorgeous pictures! Looks like a fun weekend in adventure! What a great guide! I want to go there so bad! I am saving this for when I get to visit there. These are gorgeous pictures. I've been wanting to go to Savannah and this post is so informative! The food looks and sounds absolutely delicious! ugh savannah my heart. we totally need to go back there but together this time. and go do a photoshoot in a cemetery although i dont know if that is offensive or not haha. the views everywhere - i just live for it. and you went during the perfect time of year weather wise!